Stress can prove a major headache for firms, leading to misunderstandings and getting in the way of productivity. Here we advise employers how to reduce stress in the workplace. Nobody’s perfect, we all have too much pressure from time to time, and stress can affect anyone given an accumulation of circumstances. Foster the mindset that it isn’t a weakness to seek help if you are not coping – it’s strength to admit it and do something about it. Promote this as a developmental issue. Handling stress is a proactive intervention to prevent ill health in your employees and your organisation. A stressed manager has a ‘knock-on effect’ throughout the organisation. Dealing with your own stress will prevent your staff from suffering, and results in a more relaxed and productive atmosphere. If you feel stressed, inform your employer in writing and seek support. Which of these could you improve upon? They should make sure that there is not too much noise or overcrowding, for example. A poor working environment can cause employees a great deal of stress. While this is sometimes impossible to change completely, many small things can be done to improve the situation. Before introducing a change, listen to the views of your staff. What will it be like for them? Where possible, update employees on any changes taking place, and explain the reasons for them. Identify those who resist change and help them to accept it. Listen to doubts and fears; explain, coach, boost self-esteem. Check how things are progressing during and after the change. Where possible, keep employees informed of all changes and major decisions. Listen to your staff and hear what they are saying. Talk to your staff informally and regularly. It will be easier for them to come to you or for you to approach them if there’s a problem. Observe your staff – you’ll learn a lot from watching. A good manager will have excellent ‘listening’ skills. What causes your staff stress may be healthy pressure to you, so do not belittle it. Just because it isn’t a problem for you does not mean it isn’t a problem for them. Remember, they might cope easily with issues that cause you stress. No one is suggesting that you ‘micro-manage’ or spy on your employees, but do keep an eye on them from a welfare viewpoint. Monitor absence management statistics. Monitor leaver statistics. Review them regularly – don’t simply file them away. Consider, do you have absence within your team that is due to work-related-stress?. If you do, seek support immediately. If you would like to know how to calculate the % turnover and leaver statistics within your team; call 01793 338888 for a simple calculation formula. Where a noticeable and negative change occurs, seek support from your line management as a matter of priority. The risks to the organisation of ‘failing to take action’ could be significant. Remember, every problem has a solution. “You can lead a horse to water but you cannot make him drink”. If your staff refuse support offered to them, you cannot force the issue. You can, however, document the fact that support has been offered. Keep a file note, dated and signed, detailing the circumstances and keep it on the employee’s personnel file. Proactively promote positive initiatives. Praise them, where praise is due. Have an open door policy and encourage them to approach you with any concerns or request for support/training. Ensure you have a training budget ‘per head’ rather than per department – to ensure no one is left out. Where you have a positive member on the team, encourage them to speak to the others about their own experience and the benefits they have discovered in attending courses. Remember that relaxed and happy employees will work more effectively, thus increasing their own, and the organisation’s performance and productivity. 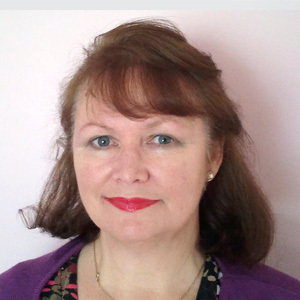 Christine specialises in delivering Independent Workplace Investigations and a Settlement Agreement service via hrdiversity.co.uk. Her objective is to help employers remedy in-house contentious issues amicably, which in turn keeps potential business risk and legal cost to a minimum and also keeps Employment Tribunal statistics down. Ultimately, everyone wins.